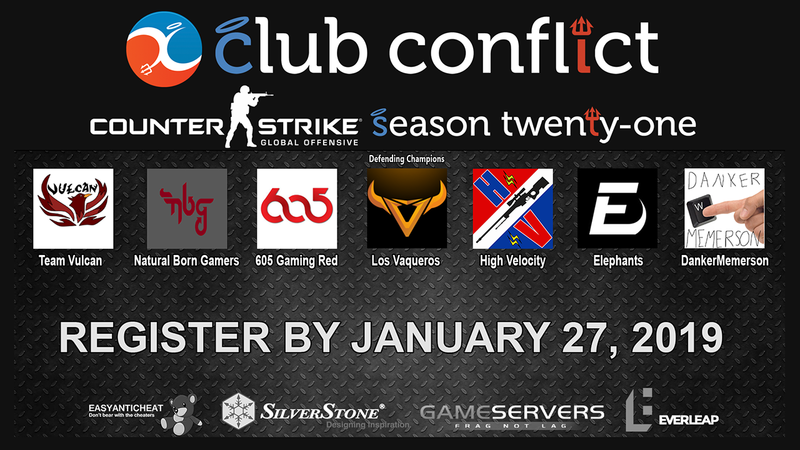 Time to register for Club Conflict Season 21 is nearing an end. So far (10) North American CS:GO teams have registered for our next season. Our defending Champions, Los Vaqueros are ready to see what you got. 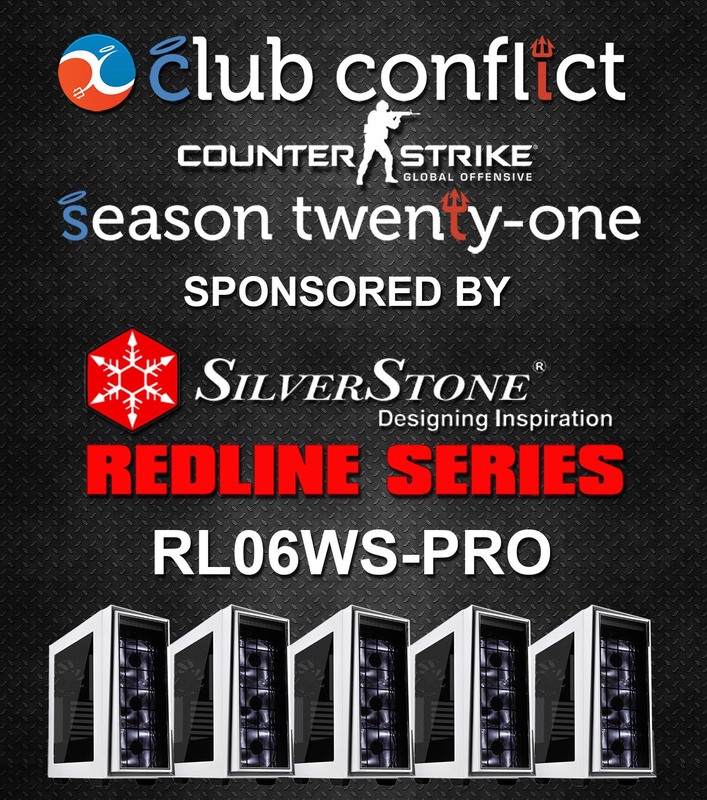 Register for Club Conflict for Free. The deadline to get (5) members registered is tonight at Midnight EST (Extended to Midnight PST). No VAC Banned Steam accounts are permitted to play. Join our DISCORD. Teams will play Wednesday nights at 9PM EST. Check out the Rules. Download the Client. Familiarize yourself with our Match Mod.